It’s been almost five years since I started working with the Snyder’s. They’ve played a major part in growth, as a photographer and I’ve been able to see their life unfold before my eyes and my camera. I’ve been happy to capture so many important milestones for them. From engagement, to wedding, first baby and now their second, Otto. When I arrived at the Snyder’s house I was greeted first by new big sister Cheyenne and then taken in to meet Otto, wearing his “coolest brother ever” t-shirt proudly. We spent the morning together as I captured every moment and tiny detail I could. It was an interesting feeling to be walking through their house and see images from all the shoots we’ve done covering the walls and filling every frame. It’s something I usually don’t get to see and a nice reminder of why I love doing what I do. I’m an uncle. And my niece—she’s pretty great. 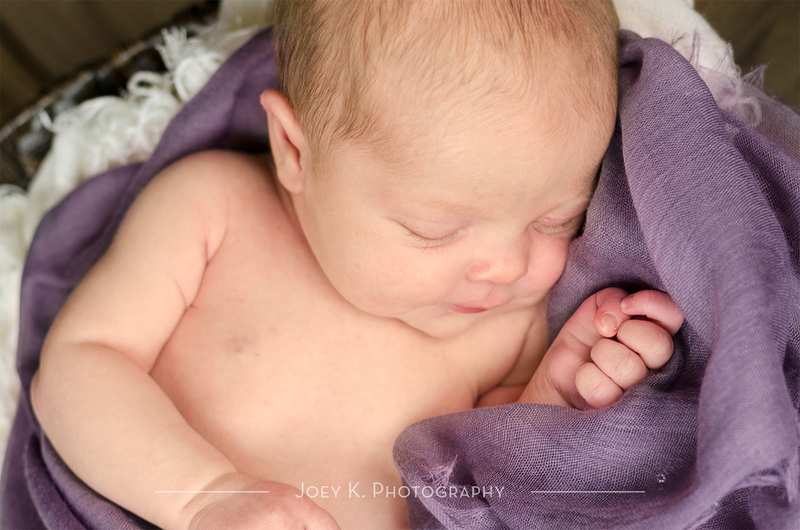 A precious, sweet, little girl with light red hair; Evie was born in late June and just a week later was ready for her first photo shoot. How can something so small have such a huge impact? Wynter was born at 24 weeks on June 20th, more than 3 months from her original due date at only 1 pound 2 ounces. Wynter was only about the size of a Barbie doll. And although she came into this world so small she proved what a fighter she was. She had some scary moments, several ups and downs, and there were plenty of bumps in the road, but she pushed through all of this. After spending 158 days in the NICU, Wynter was finally able to come home. Amanda, Wynter's mom, is one of my closest cousins and to be able see Wynter's journey from the beginning has been crazy so when I finally got to meet this sweet little girl earlier this month it was nothing short of amazing. Since Wynter's homecoming coincided with the holiday season this year I went for a very Christmas-y look for her photos because what could be a better Christmas gift this year than her? It's been a little over two weeks and I've been dying to finally post some photos from my newborn session with Miranda. Things have been a little busy between work, helping with things for my sisters wedding (less than 2 weeks away! ), and continuing my job search. But I finally got a chance last night to sit down with the photos and work a little. We had a great mid-morning session with the beautiful sunlight filling my "studio." The overall look of the session was very light and soft, something I don't think I've ever done. These have easily become some of my favorite photos :) I can't wait to see Miranda again in a few months for her 3 month session! Patty brought along her grandmother's pearls for this photo. I've always known my job as a photographer was special. Throughout my (almost) five years doing portrait photography I've had the opportunity to be with seniors excited about graduating, families coming together, newly engaged couples excited about their future plans, wedding celebrations, and newborn babies. However, it didn't really hit hard how special my job really is until recently. About three years ago Brandon and Melissa asked me to take their engagement photos. Though I had never shot an engagement session before I gladly accepted. It was later when they asked me to photograph their wedding that I had some reservations. I had never shot a wedding and wedding photography is certainly overwhelming. So much is happening on the day and there is no way to go back if things don't turn out the way you expected. But I saw this as an opportunity for me to gain some experience and I couldn't be more thankful to them for taking a risk on me to capture such a special day. And I think I still owe them a huge thank you. A few months ago around Christmas, Brandon's mom sent me a message on Facebook asking me if she could gift them a whole year of baby photos for their soon to be newborn, who would be coming in March. It was around then that I realized just how special my job is. I've been able to capture such important moments in their lives and had the privilege of capturing their family as it has grown. This past weekend I got to meet the Snyder's daughter, Cheyenne, and she was beautiful. I couldn't think of a better way to debut my new website (yay!) than with this shoot. I hope you enjoy my little preview of Cheyenne's photos and stop back again.